How do you build a movement to challenge the far right? Over the past decade, the UK has seen a worrying rise in hate speech from the far-right, with xenophobic and downright fascist political parties such as the BNP and UKIP making gains at the ballot box. HOPE not hate is an organisation that was designed to defeat extremism in all its forms. Under the stewardship of its founder, Nick Lowles, it combines first-class research with effective grassroots organisation, bringing local communities together to defeat the populist right at the polls. BSD has partnered with HOPE not hate throughout multiple election cycles, developing and executing effective digital campaigns based on lessons learned from over a decade of experience. In 2009, against the backdrop of the global financial crisis, the leader of the fascist British National Party (BNP), Nick Griffin was elected to European Parliament, to the disgust of progressives worldwide. Instead of mourning the bitter blow to progress, HOPE not hate and Blue State Digital launched a landscape-defining public campaign in protest to Griffin’s election. Built on The BSD Tools, we quickly amassed over 100,000 supporters to resist the BNP in the first month. Throughout the campaign, we raised substantial sums of money to fund the organisation and mobilised thousands of people to attend HOPE not hate events up and down the country. In Barking and Dagenham, (where Nick Griffin was running) we had more activists on the ground than any other party or campaign group. Over a six week period, we inspired over 1,100 people to take to the streets, with 541 volunteers out on a single day in the constituency — a perfect fusion of online and offline organising. The BNP spent the following five years stoking fear and division, and their leader, Nick Griffin was confident that this would translate to success at the polls. This time around, BSD worked with HOPE not hate to launch their biggest campaign yet. 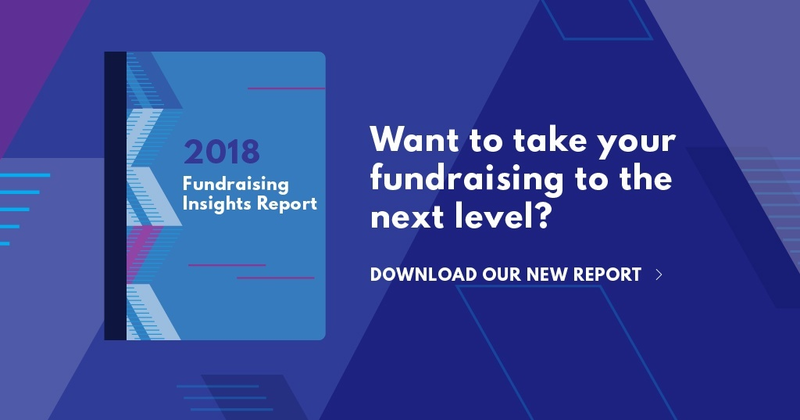 Through a series of rapid-response, matched giving and crowdfunding appeals builton the BSD Tools, we outperformed our fundraising targets by 42%, raising more money for the organisation than ever before. The result? Nick Griffin was sacked. Shocked by the brutal loss, the party entered free fall, and Nick Griffin stood down as leader. The BNP are now widely considered a mere footnote in British political history. In 2015, after five years of a Conservative / Lib Dem coalition, UKIP had become emboldened by early gains at the ballot box and looked to elect their party leader, Nigel Farage, in the Kent constituency of South Thanet. Together, HOPE not hate and BSD launched a coordinated and hyper-localised campaign in UKIP’s top 10 target seats to raise awareness of their xenophobic views and activate supporters offline. The campaign proved successful: Nigel Farage failed to win the Thanet seat. Out of the ten seats the party had fought aggressively to win, they managed to win in only one — Clacton. When Theresa May called a snap election in 2017, BSD mobilised to build a nationwide voter registration programme targeted at young people — a campaign that was optimised constantly to drive many thousands of clicks through to the GOV.UK voter registration site. As a result of work like this, youth turnout in this election increased to between 57% and 59% — its highest point in 25 years. Next, we ran a hyper-targeted voter persuasion campaign to stop UKIP from making gains. Leveraging research conducted by Populus on behalf of HOPE not hate, we were able to identify exactly who UKIP were looking to attract, and where they had the greatest chance of winning seats. We then served them messaging about key voting issues suchas the NHS, policing, and wealth inequality to dissuade them from voting for the party. The campaign contributed to some stunning results.UKIP failed to win a single seat, and its party leader, humiliated by defeat, was forced to step down. HOPE not hate has always had a bold ambition to change British politics. But the more we discussed their vision, the clearer it became that the brand they’d used for nearly a decade needed a radical overhaul if they were to be successful. As a result, BSD started work on a rebrand that would change the face of the organisation for years to come. Our goal was to create an activist identity for the modern age — something that would appeal to the old guard of supporters and the next generation of activists in equal measures. We aligned on a new logo which literally reflects the charity’s aim to “strike out hate”. Utilising a “bar of hope” to physically obscure the word “hate” in the organisation’s name, we reduce the word’s power. This carries through into a brand strategy which employs a simple strikethrough over hate words such as ‘racism’ and ‘homophobia’ on the organisation’s website and communications. This act of crossing out a hate word is simple but powerful, and so accessible that it can resonate with anyone — even children. Blue State Digital’s brand guidance covered usage beyond common channels, such as protest materials and signs, and even ‘HOPE’ tape that people can physically stick over hateful words and symbols, making the brand more inviting and tangible. The brand therefore is one that feels like you can own it, inviting action through its design and interpretation. We later moved to bring that new identity to life, crafting a completely new website modelled around their core objectives of fundraising, list growth, and voter persuasion. Doing this set the organisation up for success, and allowed them to launch campaigns at a moment’s notice, such as their most successful fundraising campaign to date, and their general election campaign. The future looks bright for HOPE not hate. Almost 50,000 new supporters have joined their movement this year, and they’ve attracted more first-time donors than ever before — an increase of 750% since last year. But the fight is far from over. Blue State Digital will continue to stand at their side and fight for better politics. Let’s make the Internet work for everybody.